From a small factory in a suburb of Birmingham comes the specialist tube that is used to make some of the best bicycles in the world. Since its establishment in 1898, having been granted a patent for the process of making butted steel tube, the company has continually innovated and experimented with materials and processes, creating high performance strong yet lightweight tube. 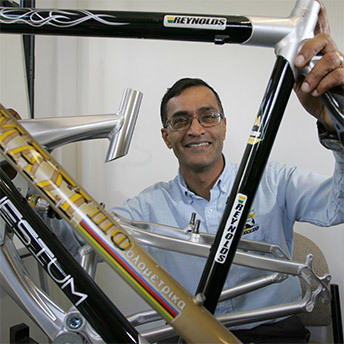 Through several changes of ownership, Reynolds has maintained its reputation for skilled engineering and the supply of unique, market-leading, products.